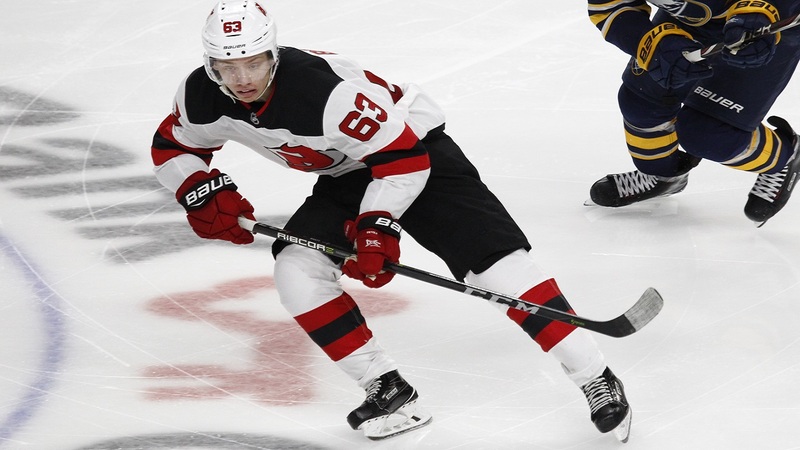 The New Jersey Devils convincingly defeated the Sabres on Monday 6-2, in Buffalo. With the win, New Jersey improved to 2-0 on the season. Highlighting the Devils early-season surge is the arrival of young talent. Leading the upsurge today was Jesper Bratt. The 19-year-old rookie had a banner day with two goals and an assist. Jesper's first goal came while the Devils were shorthanded. The youth movement is clearly making an impression on head coach John Hynes. When asked about the youth's enthusiasm, Hynes said; "It is infectious because to be good in this league you have to have strong veteran leadership. We have a great group of older players, who are impact players on our team and play big roles. To get good in the league you have to draft well and you have to develop well. The fact that we have some younger guys coming into our lineup that can play the way that we want to play, and are having major impact on the game I think brings energy to everyone." One of those veterans he's referring to is Marcus Johansson, who was acquired in an offseason trade. On Monday, he also contributed 2 goals and an assist in the Devils 4 goal second period. After the game when Bratt was asked his thoughts on playing with Johansson on the same line; "Of course I enjoyed it. He's a great player and a great guy." Also adding to the veteran success today was goaltender Cory Schneider with 23 saves. To this point the mixture of youth and veterans has had positive results for the Devils. Jersey's next contest is in Toronto on Wednesday against the red hot Maple Leafs.